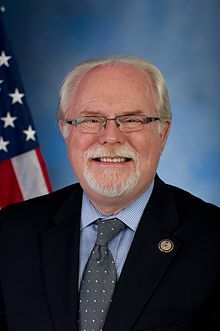 Rep. Ron Barber, D-Tucson, is urging House leaders to make sure budget cuts within the Department of Homeland Security don’t impact Border Patrol staffing levels or pay of its agents, according to a press release issued by his office. Barber urged the House leaders to make efforts to ensure that overtime pay for agents is not cut. “Cuts to agents’ overtime hours will leave Border Patrol stations understaffed and forward operating bases unmanned,” Barber wrote. “This creates windows of opportunity for criminals to cross our borders. It also results in an undue burden and heavy impact on Border Patrol families because it represents a substantial reduction in hours and take-home pay.” Budget cuts are mandated by the sequestration. Barber’s plea comes as the House Appropriations Committee looks at a Homeland Security proposal that would prevent Border Patrol agents from geting furlough days, but might still result in a reductions in overtime. Border Patrol agents would avoid furlough days under a Homeland Security proposal that would cut overtime pay instead, the Cronkite New Service reports. To Read Rep. Barber’s press release click here. Posted: 6/5/13 at 8:26 PM under News Story.